Adrienne Rock graduated from Minot State University with a B.S., in Communication Disorders, a minor in French and an M.S., in Speech-Language Pathology. Her background includes several avenues in the field of speech-language pathology. Her career began in Long Island, NY where she worked closely with a variety of network providers to serve families and children with autism spectrum disorder (ASD). Her expertise solidified when she moved to the state of Washington and contracted with several area school districts and private practices. It was here that she fully appreciated and experienced the team approach to assessing and providing intervention to children with ASD in a community effort. In the process of obtaining certification in Orofacial Myofunctional Therapy. Adrienne is a member of the following organizations:American Speech Language and Hearing Association, Washington Speech Language and Hearing Association, American Academy of Private Practice Speech Language Pathologists and Audiologists, and International Association of Orofacial Mylogy.In her spare time, Adrienne loves to run, do CrossFit, and spend time with her husband and 4young children. Sarah McKim-Thomas graduated from Brown University with a BA in Linguistic Anthropology and from the University of Kansas with a MA in Speech-Language Pathology. 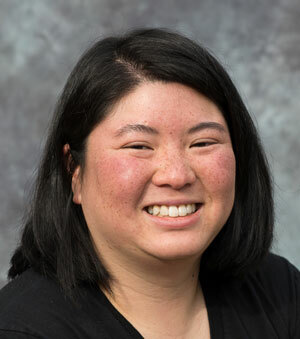 Her graduate studies focused primarily on Augmentative and Alternative Communication (AAC) and Autism Spectrum Disorders (ASD). Sarah joined Rock Therapeutic Services in the fall of 2014 at the Maple Valley office location. Sarah has experience working with culturally and linguistically diverse families in a variety of settings including homes, schools, tutoring centers, and private practices serving both children and adults ages 3 to 40 and older. 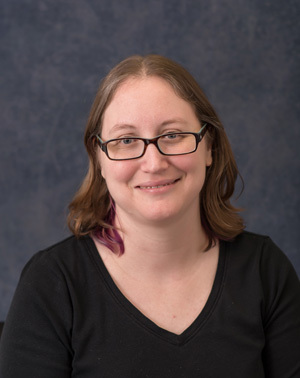 Sarah’s background includes working with families and individuals with ASD, Down syndrome, sensory processing disorder, language disorders, articulation/phonology disorders, and pragmatic (i.e. social communication) disorders. She specializes in Augmentative and Alternative Communication (AAC) evaluation and intervention. She is a current member of the American Speech Language and Hearing Association (ASHA), Washington Speech Language and Hearing Association, Northwest Augmentative Communications Society (NWACS), and ASHA Special Interest Group 12 – Augmentative and Alternative Communication. In her spare time, Sarah enjoys riding and training her two horses, playing a variety of tabletop and computer games, reading, and writing. 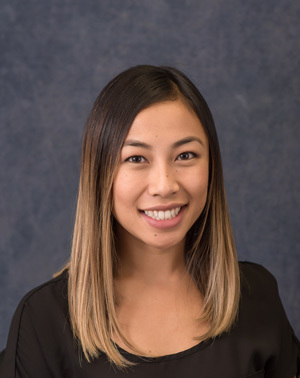 Jamie Shimabuku graduated from Washington State University and University of Hawaii with a B.S., in Speech Language Pathology and Audiology and a M.A. in Speech and Hearing Sciences.Jamie joined Rock Therapeutic Services in 2011.Jamie has experience working with culturally and linguistically diverse families in a variety of settings including educational settings and private practices serving both children and adults ages 3 to 40 and older. Jamie’s background includes working with families and children with autism spectrum disorder (ASD), Down syndrome, sensory processing disorder, language disorders, articulation/phonology disorders, and pragmatic disorders.She is a current member of the American Speech Language and Hearing Association (ASHA) and Washington Speech Language and Hearing Association.In her spare time, Jamie enjoys reading and traveling. Todd graduated from Cal Poly, San Luis Obispo, with a professional degree in Architecture. 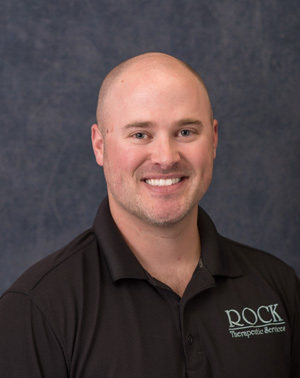 This problem solving background enables him to help run the day to day operations at Rock Therapeutic Services. Todd and his wife, Amy, met the Rock family shortly after having their son in 2005. The friendship was formed while our children were in infant daycare together. Todd enjoys playing sports, do-it-yourself projects and family time! Tiffani Kittilstved graduated from Eastern Washington University with a B.A., in Anthropology, and minors in Linguistics and Psychology. She completed prerequisite classes in Communication Disorders and received her M.S. in Speech-Language Pathology from the University of Tennessee in May of 2017. 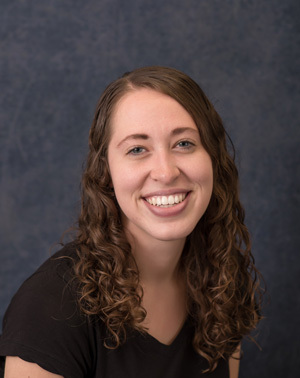 Tiffani began her career with Rock Therapeutic Services in July of 2017 and provides evaluation and intervention services at the Maple Valley clinic. During her graduate studies, Tiffani worked with children and adults with a variety of communication disorders including stuttering, articulation disorders, language disorders/delays, hearing loss, social communication disorders, dysphagia (swallowing disorders), Autism Spectrum Disorder, Down syndrome, and people who use augmentative and alternative communication (AAC). She had clinical rotations in a number of settings including outpatient clinics for children and adults, middle and alternative public schools, skilled nursing facilities, summer camps for children with communication disorders, and intensive stuttering programs. 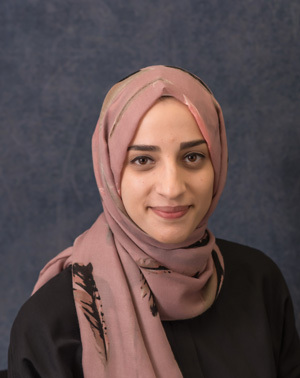 Her primary clinical interest involves working with people who stutter, an interest which has developed from her personal experience being a person who stutters. She is currently a member of the American Speech Language and Hearing Association (ASHA), the National Stuttering Association, FRIENDS (an association for young people who stutter), and the ASHA Special Interest Group 4 - Fluency and Fluency Disorders. Tiffani currently leads the Seattle/Tacoma family chapter of the National Stuttering Association and organizes annual FRIENDS one-day conferences in the area. In her spare time, Tiffani enjoys hiking, traveling, playing board games, and volunteering. Kimberly Ridenour graduated from the University of Washing with a B.S. in Speech & Hearing Sciences and a B.A. in Psychology. She completed her M.S. in Speech and Language from Nova Southeastern University. She holds a Certificate of Clinical Competence from the American Speech-Language-Hearing Association. 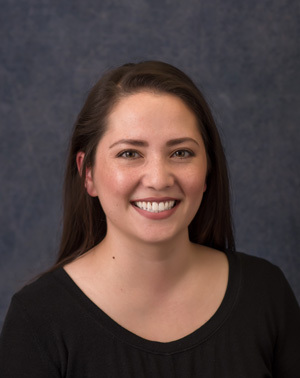 Kimberly began her career at Rock Therapeutic Services as a graduate student intern in May 2015, and she is excited to complete her clinical fellowship with the Rock Therapeutic Services family. Kimberly provides evaluation and intervention services at the Maple Valley and Enumclaw office locations. Kimberly has experience working with culturally and linguistically diverse populations in the public school system, having served as an SLP in elementary schools, early childhood education classrooms, adaptive support center classrooms, and Head Start. 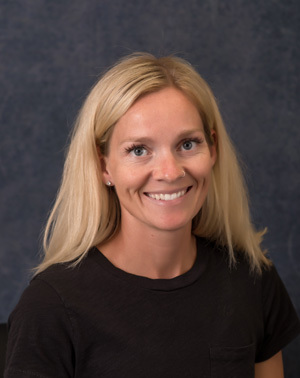 Kimberly’s background includes experience assessing and treating a variety of pediatric and adult concerns, including difficulties with articulation, motor planning for speech (e.g. childhood apraxia of speech), receptive language, expressive language, social language, assistive and augmentative communication (AAC), literacy development, feeding, tongue thrust, voice, and autism spectrum disorders. Kimberly enjoys making therapy fun and rewarding for clients and families. She loves to see her clients make progress and reach their goals. She strives to build strong relationships with families to best support the individual needs of each client. In her spare time, Kimberly keeps busy raising her two young boys, spending time with her husband, and rooting for the Seahawks. Sarah Mustafa graduated from City University London with a Bsc in Speech and Language Therapy. She began her career with Rock Therapeutic Services in March of 2017 and provides evaluation and intervention services at the Mercer Island and Maple Valley office locations. Sarah has experience working with children and adults from linguistically and culturally diverse backgrounds. Sarah has worked with children in school-based settings and within clinical settings. She has experience in the areas of autism spectrum disorder (ASD), childhood apraxia of speech, speech and language disorders and social communication disorders. She also has experience working with adults with acquired neurological impairments resulting from strokes, traumatic brain injury, dementia and other neurological diseases. She is currently a member of the Royal College of Speech and Language Therapists (RCSLT) in the UK and the American Speech Language and Hearing Association (ASHA). In her spare time Sarah enjoys traveling, hiking and baking. Adina Sounthala graduated from the University of Washington with a B.S. in Speech and Hearing Sciences and a Minor in Diversity in 2012. She has been with Rock Therapeutic Services since June of 2017 and provides intervention services at the Maple Valley clinic. Adina’s background includes working as a Speech Language Pathologist Assistant in an elementary school based setting. She also previously worked as a behavior technician for five years working in various school districts, in homes, jobsites, and in the community. Many of the children she worked with were different ages including young adults transitioning from school to work. Most of Adina’s experience is with children with Autism Spectrum Disorder (ASD) but she also has supported children with mental health. Adina enjoys working with different people with a variety of challenges. She finds value in making a difference to improve the quality of life for others and their families. She is excited to discover the puzzle that fits for a child’s success. She is currently a member of the American Speech Language and Hearing Association (ASHA). When not working, Adina enjoys playing sports, being outdoors, cooking, and traveling. 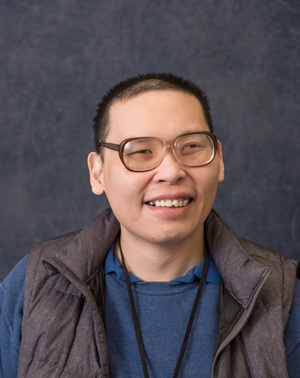 Chi-Shan is originally from China and works part time for Rock Therapeutic Services. He sanitizes our therapy materials and shreds documents. In his spare time Chi-Shan enjoys watching TV and listening to the radio.